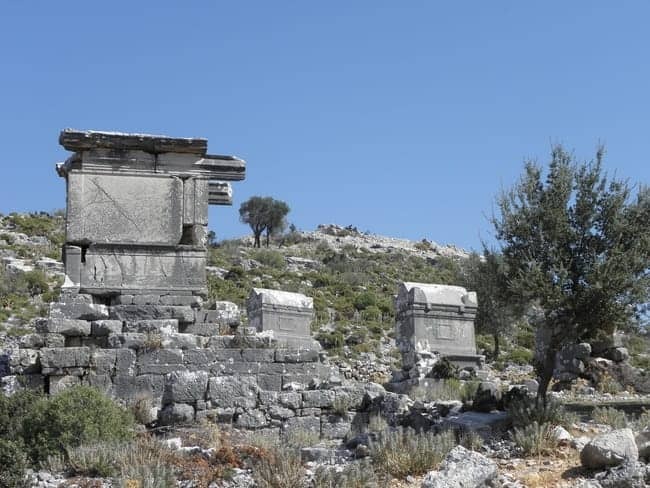 A group of Roman-era Lycian tombs of different types at Sidyma. These bucolic images conjure up an impression of what an archaeological site might look like before discovery and exploration – the type of image that would have been normal for the early travellers of the 18th and 19th centuries, when the physical heritage of the Mediterranean’s ancient past was being rediscovered. Early reports of places like Agrigento in Sicily, Ephesus in Turkey or Delphi – even Athens – in Greece, describe just such Arcadian and picturesque scenes, the remains of ancient glories in a state of romantic decay, embedded in simple peasant life or even in remote wilderness. But the description above is a current one, of ancient Sidyma (modern Dodurga), a few kilometres inland from the Lycian Shore of Turkey. One of the pleasures of exploring the more remote areas of the countries we travel is to veer off the proverbial “beaten track”, to scramble through rocky landscapes, ramshackle traditional villages or dense undergrowth for those very special discoveries. What we seek on those occasions are the ruins of ancient cities, sanctuaries, forts and cemeteries, not yet (if ever) developed for conventional tourism, still standing proud in their landscape, seemingly untouched, oblivious to the millennia of change that have been going on around them since they were created, used and abandoned. 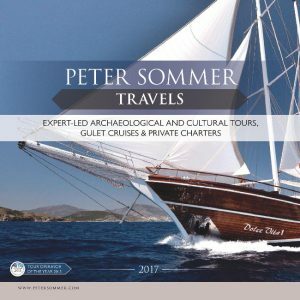 In many ways, such sites are a far better impression of the vast gulf of time that separates us from antiquity than are their no less impressive and often more accessible and informative “must-see” contemporaries – although even those can be shrouded in mystery. The “Doric Tomb” of Sidyma, according to its inscription the resting place of a young girl who was priestess to the cult of the Roman emperors in the 1st century AD. A great example of this type of site is Sidyma. Historically speaking, this Lycian city is virtually unknown. 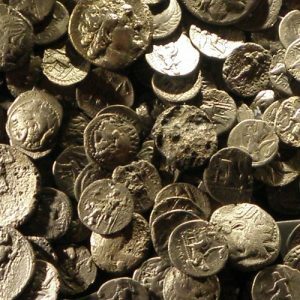 Ancient writers rarely mention it, and never before the 1st century BC, but the linguists tell us that the name should have more ancient Anatolian origins. Virtually nothing is known of its history, except a legend about the Byzantine emperor Marcian, before rising to power, having received a prophecy or omen about his future career while staying there. We also know that the place was important enough to become the seat of a Christian bishop by the 5th century AD, and that it remained so until the 13th century. In terms of written records, that’s pretty much it. In the field, as an archaeologist would say, there’s a little more to Sidyma – but not enough to break its sense of enigma. The site is located in – nay, scattered throughout – an inland plateau, not far from the shore, but entirely invisible from both the sea and the main land-based routes of communication. 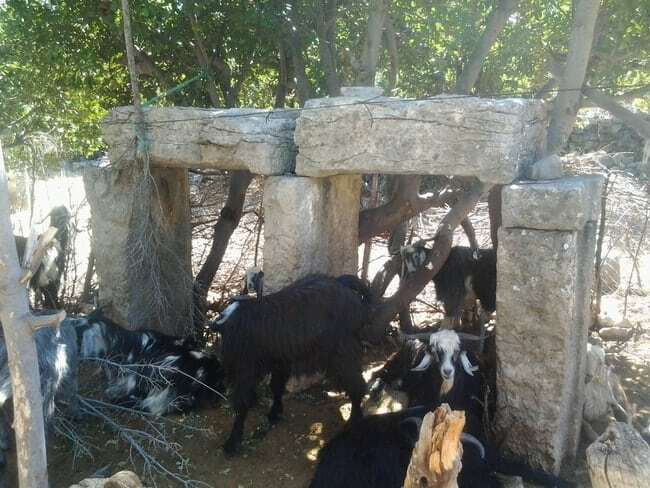 In spite of its relative aridity, the area is covered in fine and very old olive trees today: in combination with the numerous goat and sheep grazing the nearby slopes, that suffices as the economic basis for the small village that now rubs shoulders with the ancient remains. The Byzantine or medieval fortress overlooking Sidyma. Those remains cover a reasonably large area, but few of them are indicative of an actual city. Some ruined structures can be interpreted as colonnades or other public buildings; there are substantial terrace walls that may have supported houses or shrines (and are now incorporated into modern farmyards); and old reports describe a now-obliterated theatre. A fortification on a nearby hilltop may have ancient origins, but its visible structures are – probably – of Byzantine date. The ruins of two sizeable churches stand clearer witness to the Byzantine (and Christian) presence. What makes Sidyma spectacular – albeit in a modest and very intimate way – is its wealth of tombs. 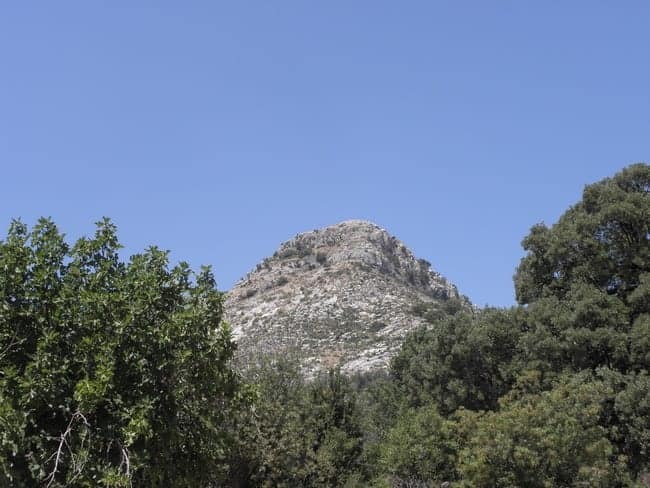 They follow the distinctive Lycian tradition, established in the 5th and 4th centuries BC, but adhered to by the fiercely traditional population of that region even when first Greek influences and then Roman ones dominated the region and its place in the world. 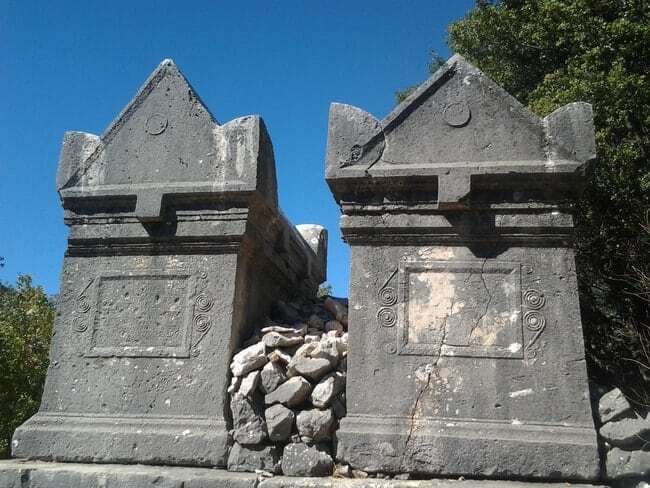 For the sufficiently intrepid explorer, Sidyma is a treasure trove of ornate tombs of the various Lycian types (sarcophagi, house tombs and even pedestalled graves), but all seem to be of Roman date, most likely of the 1st and 2nd centuries AD. A stroll on tree-shaded pathways and a scramble through the olive groves and pastures beside them reveals dozens of these monuments, some of them virtually pristine, others badly damaged and incorporated into more recent and more prosaic structures. 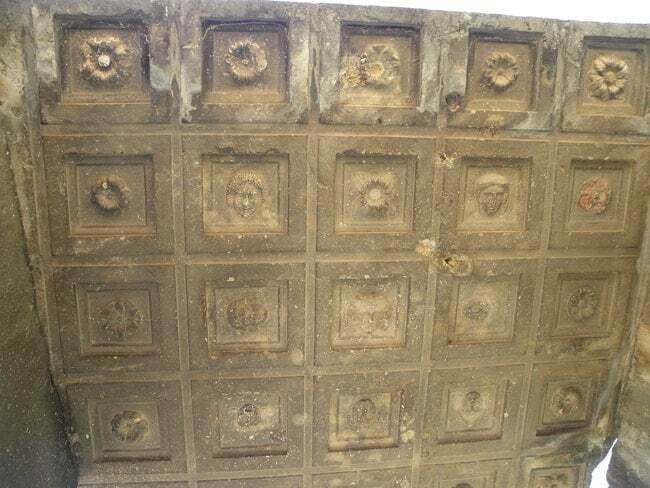 The ceiling of one of the Sidyma tombs: a single slab of stone, carved with coffers holding flowers and faces. There is much detail to be found here: carved ornaments and figures, such as the god of love, Eros, in the corner of a sarcophagus; a phallus, probably to bring luck, on the edge of a structure that may be a very large tomb or even a temple; flowers and faces or masks carved into the highly ornate ceiling of a collapsing grave chamber… Badly worn inscriptions, all in Greek and many far beyond legible, are trying to tell us of the importance and power of the men buried in the graves that bear them. A small Doric temple, also a tomb, tells of the cultural ambitions and connections of the inhabitants, clearly expressing a knowledge of Classical Greek architecture and a desire to emulate it. All of these fragmented details are testament to the rich and complex culture of the eastern regions of the Roman Empire and their deep cultural background, embedded in both local Anatolian and more international Greek traditions. Those tombs do, as do all their equivalents in antiquity, represent a considerable investment into the memory of the deceased and the prestige of their descendants. A pair of finely carved and inscribed sarcophagus tombs at Sidyma. We cannot currently tell how such a remote and apparently insignificant place could afford such ostentatious grave markers, nor how or where those buried there made their fortunes. 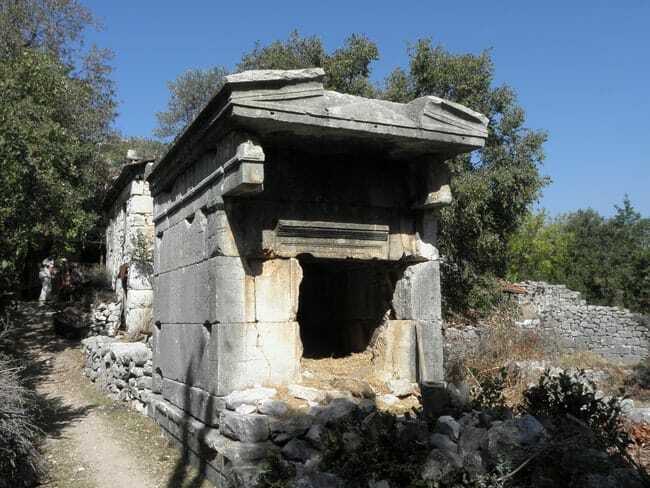 Maybe they lived and acted in nearby Xanthos and Patara, the much better-known, much bigger, much wealthier and much more important urban settlements in the coastal valley below, expressing their allegiance to their rural home community by being buried there. Or maybe, the community thrived through the importance of its harbour, a few kilometres away and largely unexplored so far, and through the trade and export of its produce, such as honey, olive oil and cheese, all of which are still made there. Many questions and few or no answers – but who doesn’t love a mystery? 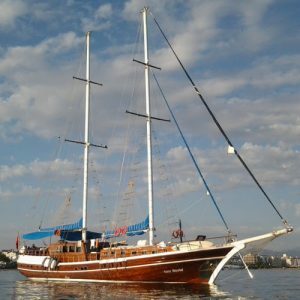 To explore the romanticism, the beauty, the grandeur and indeed the mystery of ancient Sidyma, you can join us on Walking and Cruising the Lycian Shore or on Walking and Cruising Western Lycia! I have learned a lot today from this enlightening post! Hoping new posts will follow and would be great if I am informed of it.